Made with instant oats, these simple pancakes are low in calories and can help with digestive problems. 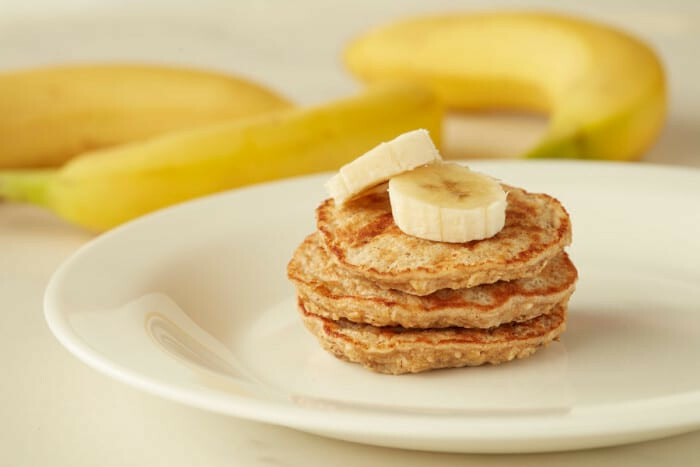 Enjoy these banana pancakes as an alternative to traditional pancakes. They are great for people who are following a low-calorie diet or experiencing digestive problems. In medium bowl, whisk egg whites until frothy. Add banana, oats, and cinnamon, if using, and stir until combined. Heat large nonstick skillet over medium heat. Lightly coat pan with cooking spray. Spoon batter onto hot skillet to form three small pancakes. Cook until golden brown, about 2 to 3 minutes per side.